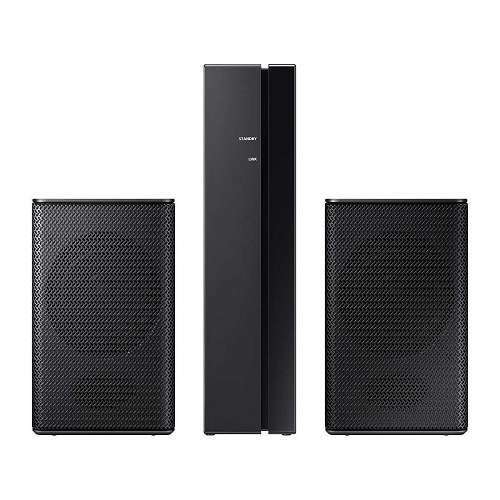 Indulge in distinct and staggering sound quality with the Samsung HW-KM57C Soundbar System with Wireless Subwoofer which comes with the best audio features. 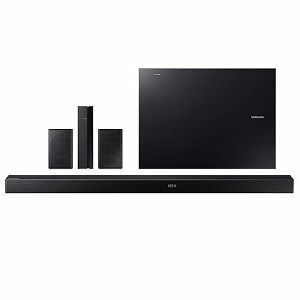 The HW-KM57C Soundbar System from Samsung is one impressive and high-quality sound system which comes with the most sophisticated features. It comes equipped with a total of six built-in speakers which provides a dynamic experience to satisfy your listening ears. 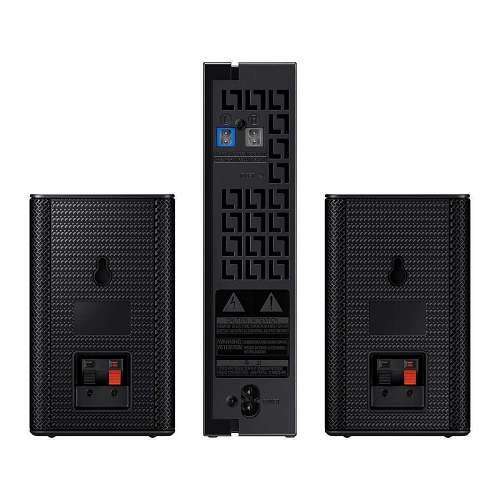 Each speaker comes with a dedicated amplifies which improves your overall listening with the clear, accurate and balanced sound it provides for a complete home entertainment experience. 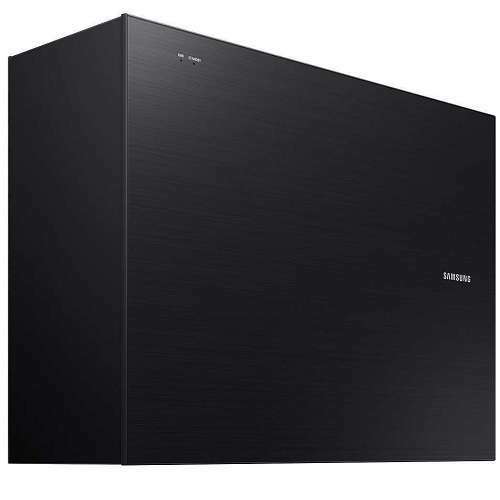 Furthermore, the Samsung Soundbar System comes equipped with a wireless subwoofer which provides a remarkable and fully satisfying surround sound. 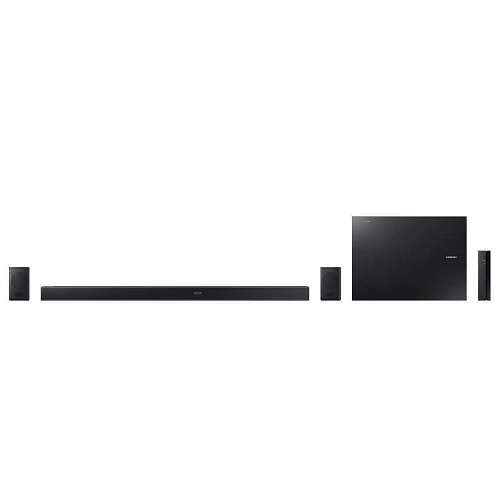 Being a clutter-free soundbar system, it guarantees you of a safe and less hassle setup and installation. 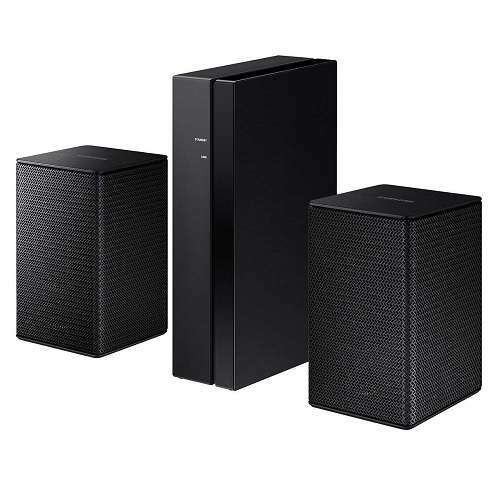 In addition to this, it features the TV Sound Connect which enables you to instantly enjoy your favorite movies, music and TV series with a more impactful sound quality, while the Surround Sound Expansion makes everything you hear more realistic. It can be easily controlled wirelessly through a Bluetooth connection which allows for a more convenient use. 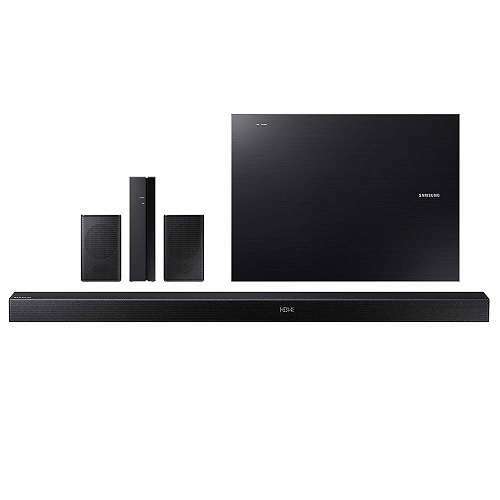 Purchase the Samsung HW-KM57C Soundbar System with Wireless Subwoofer today only here at TigerDirect! Surround box failed after four months. I worked great until the surround wireless box would not come on!Sub and bar still works. OK, so we bought this surround sound system a couple weeks ago. Our family room is 14' x 20' this system fills the room very well. The subwoofer is awesome and quite powerful. In fact we have it set to -3 or -4 almost all the time. Speaking parts are intelligible, and sound effects are as the editors meant them to be. OK, so it's not what one might call an audiophile's system, but it is quite good for the average person. I like to be able to hear all parts of a movie and this most certainly does the trick Worth every penny and more.